You may have seen Tom Gauld’s excellent bookish cartoons in the Guardian Review pages, which are reliably smart and thoughtful as well as very funny (https://www.theguardian.com/profile/tom-gauld). This latest collection of his work is especially good for those who like books, or science, or both. His humour is usually deceptively gentle but skewers some modern human moments. I especially like his very understanding cartoon about the perils of non-scientists buying congratulations cards for scientists (http://myjetpack.tumblr.com/image/164181515985). The cartoons often feature great literary jokes, and as he sometimes does work for the New Yorker and the New Scientist, I’m sure there are other jokes I’m not getting! His cartoons make me smile every time I see them. He is the author of Mooncop and You’re all Just Jealous of my Jetpack. This is a perfect gift as it is a beautiful hardback (I am already thinking of this for at least four Christmas presents, hopefully none of the likely recipients read this blog). “Badger Bill was having a very bad evening, maybe the worst of his whole life. He was stuck inside a bag. It was an extremely scratchy and horrible bag and it smelled as if someone who was also a badger had been crying inside it a few days earlier and then maybe after that had been sick”. So begins Bill’s scary but also very funny adventure, in a new children’s book from Riverside favourite A L Kennedy (see https://theriversideway.wordpress.com/2016/10/18/serious-sweet-by-a-l-kennedy/). Despite featuring four depressed llamas who also need rescuing by the unusual Uncle Shawn, this book is stuffed with kindness as well as proper laughs. If the reader can cope with the scary bits in Roald Dahl’s books, I think they can manage this: it’s recommended for age seven and up and everyone I know who has read it so far has loved it (three adults and one seven year old). As well as being a proper adventure with quality baddies, the book is surprisingly comforting on the experiences of being anxious and scared, and also on showing courage in the face of these feelings. Gemma Correll’s illustrations are just as funny as the text (we sell her excellent cards in the shop too). There is also a character called Ginalolobrigida Llama. Nuff said. By the same author as the classic I Want My Hat Back, this is a spare and beautiful picture book. It manages to be extremely funny and also very thoughtful. It is perfect for reading aloud with young children, but is also an ideal gift for reflective adults. 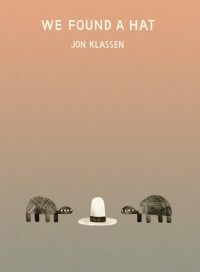 Even the synopsis on the back of the book is a masterpiece: “Two turtles have found a hat. The hat looks good on both of them. But there are two turtles. And there is only one hat.” The scene is set for a tense drama, involving loyalty and the nature of reality. And a hat. How many children’s books can you say would be ideal gifts to celebrate friendship, love, weddings and civil partnerships? Buy this book for yourself and read it many times over the rest of your life. An instant classic.